At the risk of being controversial, I want to talk for a moment about tenure. In higher education, tenure is a system that provides job security for faculty after some probationary period and after the achievement of certain milestones. Tenure is not, in fact, a guarantee of lifetime employment as is sometimes said. Yet, faculty with tenure do have a high degree of autonomy and professional discretion in their work. Moreover, tenure is not awarded to everyone, nor is it automatic after a set number of years. 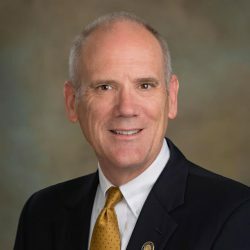 Rather, tenure is earned, based on the quality and quantity of a faculty member’s work, on his or her reputation and standing in the field, and based on a rigorous evaluation including external reviewers as well as faculty and administrators at multiple levels within the University. Why would I risk boring you with such an “inside-baseball” discussion? Well, for two reasons. First, it’s a simple issue of transparency. 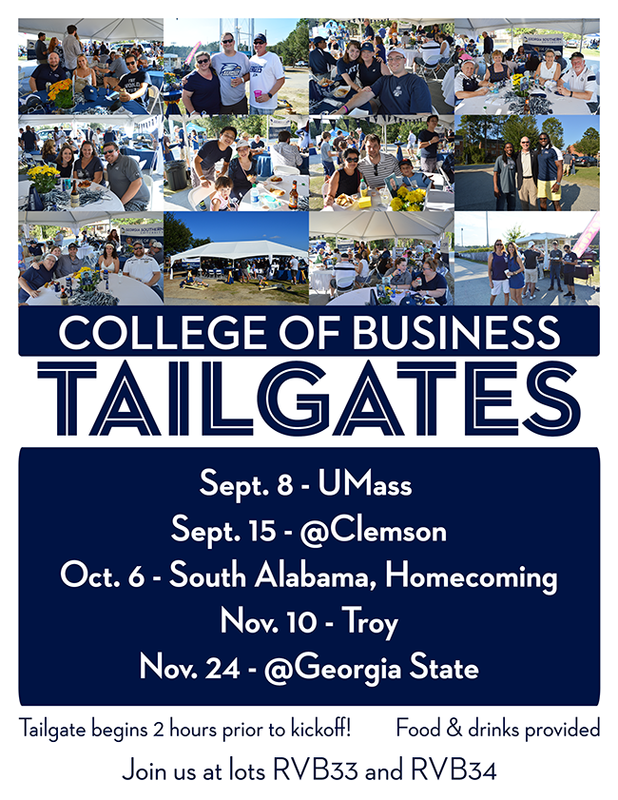 As our alumni, friends and supporters, I want you to understand how things work in the College of Business. Second, I want to use the discussion as a way to talk about our mission and value proposition. First then, let me assure you that we take tenure very seriously. 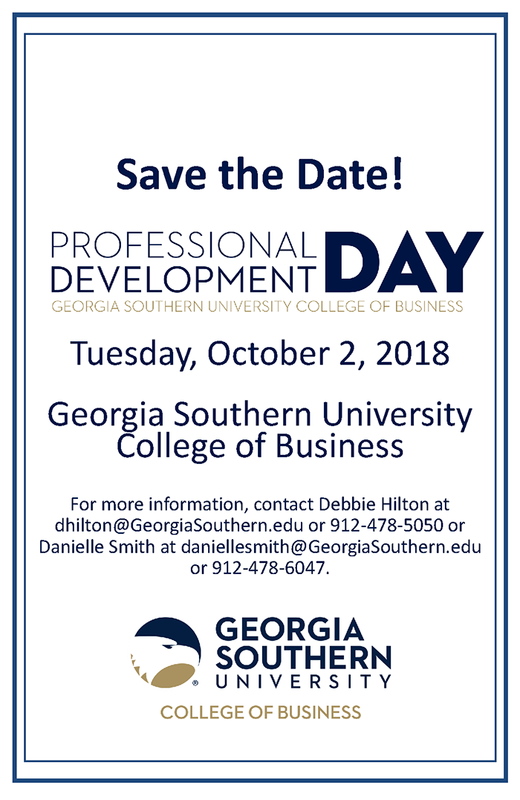 Georgia Southern is a great place to work, and we employ some great faculty members. Of course, great faculty members are in great demand; other schools have poached from us, just as we have recruited good faculty from them. Tenure is a commitment by the institution that can provide an incentive for faculty to remain. And it’s an appropriate recognition of the accomplishments, status and professional standing of a faculty member. Strategically and operationally, though, tenure serves a practical and important purpose, by providing the security that enables faculty to take risks. Our mission talks specifically about inspired teaching, relevant research and meaningful service. We expect faculty members to be thought leaders and scholars with the sort of expertise that is respected within their disciplines and around the world. We expect them to translate that expertise into the classroom by delivering state-of-the-art material in an engaging and inspiring way. And we, then, expect them to participate in the governance of the institution as well as in the leadership of their professional communities. Doing that all well requires some initiative and entails some risk. Not every idea works as envisioned and not every investment provides a quick and certain return. It is tenure that provides the foundation of security. It allows faculty members to invest in new ideas and methods and to build for the long term. And it allows us to attract and retain the sort of faculty who can function and deliver at this high level. So, as you read about the good things we’re doing, think about the tenure system; it really is a means to an end and an essential component in our overall value proposition. 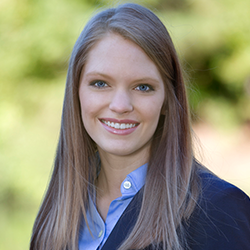 Katie F. McGrath (MKTG, 2014), CFP, started her career at UBS Financial Services, Inc., soon after graduation. She began as a client service associate working towards obtaining licenses and registration in Series 7, Series 66, Life, Variable and Long Term Care. 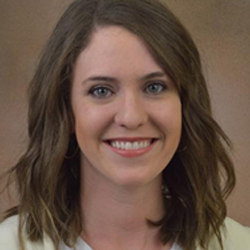 At first, Katie was discouraged by how little she knew about the financial services industry since, while at Georgia Southern, she had only taken one finance course; however, the preparation she gained in the College of Business has helped Katie in many ways. She found one of the most important things Georgia Southern had taught her was how to learn the fundamentals of a subject and to practically apply that knowledge. Following those principles, Katie took everything day by day and began to be able to apply her studies to client situations. She studied hard to pass her certification exams and gained confidence. Her proudest accomplishment occurred when she became a Certified Financial Planner (CFP). Currently, she is working toward becoming a financial advisor. In 2015, Katie was promoted to wealth strategy associate, a position she holds to this day. Her primary focus is on developing financial plans and investment strategies for families and individuals and providing support for client relationship building and business development. Since Katie believes the best part of her job is interacting with clients, she finds guiding clients through major life events and helping them realize and achieve their visions to be especially rewarding. When she looks back on her time at Georgia Southern, Katie says she cannot imagine a better college experience. Some of her favorite classes were taught by Trey Denton, Ph.D., professor of marketing, and Jin Woo Kim, Ph.D., associate professor of marketing. In fact, Katie was awarded the Top Marketing Scholar in 2014. She was a member of the Zeta Xi Chapter of Zeta Tau Alpha and enjoyed being involved in Statesboro’s community and being able to give back. Her favorite Georgia Southern memory is of being proposed to on Sweetheart Circle. An Atlanta resident, Katie loves hiking in North Georgia in her spare time. She also enjoys exploring Atlanta, walking and riding bikes on the Atlanta BeltLine, and trying out new restaurants. 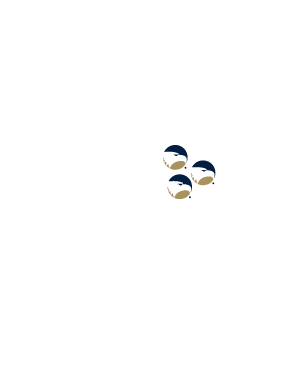 In addition, each fall finds Katie cheering on the Georgia Southern Eagles and the Atlanta Falcons. Fun fact about yourself: I met my wife in a step aerobics class. I think that definitely dates me! What achievement are you most proud of in your professional career? I’ve had a lot of achievements that I’m proud of over my career, and picking just one is impossible. All of my proud achievements are the results of excellent individuals I’ve had the opportunity to work with. Being able to coach and mentor individuals, and watch them get promoted to higher levels within the companies I’ve worked for, have been the achievements I get the most satisfaction from. Why did you choose this school’s online MBA program? About two years ago, I was in a job transition with a previous company, and decided to go back to school to get my MBA. Due to my work schedule, I needed the flexibility of an online program versus an in-class option. The key factors in my decision were reputation of the program, length of time the program had been in existence, time to complete the degree requirements, and tuition cost. After researching multiple options, the Georgia Southern online MBA program provided the best value for me. What was your favorite part of being in an online MBA program? I definitely enjoyed the team that I joined at the beginning of the program. We’ve developed a great relationship that extends beyond just the program. What was the most surprising thing about an online learning environment? I was surprised by the time commitment needed to complete the coursework. At orientation, both professors and recent graduates reiterated the importance of not underestimating the time commitment. However, until you are actually in the class, it’s easy to dismiss these warnings. This online program was the equivalent of taking on a second job. It is definitely not “easier” than attending a class in person. How did your online experience compare with your in-the-classroom experience as an undergraduate student? An online program takes more discipline to make sure you keep up with the coursework. It’s been awhile since I was an undergraduate, but one thing I remember is that I could procrastinate and still get my assignments done on time. With a wife and work commitments, I could not afford to put off studying because I would not be able to catch up if I did. Although there is obviously more interaction between students and the professor in the regular classroom, I did not feel this was a missing in the online program. My team regularly met once a week, and kept in touch between meetings with emails and texts. Professors were very accessible and responded in a timely manner to any questions or concerns. What is your best piece of advice to an applicant for thriving in an online MBA program? Take the online program seriously, and commit to learning the material. It is a significant time and financial commitment, but it is worth it when you finish. Don’t take shortcuts. The material you are learning will be used in your career. How has your online education helped you in your current job? At this stage of my career, most of the concepts covered were not new to me. However, I gained a deeper understanding of the background behind the material we learned. This deeper foundational base allowed me to communicate with greater conviction about strategic topics since I understood the basis behind them. In my role as VP of sales, I’m a member of the leadership team of the business. The classes on marketing, entrepreneurship, strategy, global business, organizational behavior, finance, accounting, operations management, and management information systems have been a greater refresher and culmination of everything I’ve learned during my career. I use elements of all classes almost every day. If you had to do it all over again, would you? Why? I absolutely would do this again. This experience has reminded me of things I previously learned and forgot. I’ve gained a much deeper understanding of the business concepts I’ve used freely and with less knowledge over the past 25 years. I’ve also learned some new things that will help me professionally and personally. This has been a deeply enriching experience, and I’m glad I did it. What is your ultimate long-term professional goal? I’ve been a senior executive for over five years. At this point, my professional goals are less about moving to the next promotion, and more about developing the next generation of business leaders. I would like to be viewed as a trusted advisor and mentor both within my organization as well as within the industry, at all levels from operators on the shop floor to the C-suite. 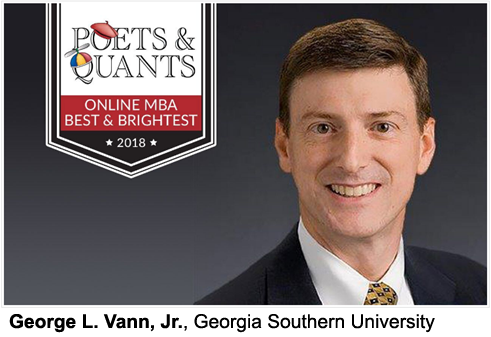 To view the feature online, visit poetsandquants.com/2018/06/06/2018-best-online-mbas-george-l-vann-jr-georgia-southern-university/. As a business consultant, I get to help people grow their businesses. The first meeting I have with clients typically starts with them telling me about their business. I watch them light up as they talk about their mission and vision and how far they have come. When I shift the conversation over to their financials, that energy and excitement often fades. For many, it is not that their financials are in trouble, but rather, they don’t know how they are doing financially. They run their business based off of how much cash is in the bank at a given moment and leave it at that. While each business will have some important figures unique to their industry, there are a few that every business owner should be monitoring. Revenue: This one might be obvious, but I feel it should be addressed because many business owners who measure revenue aren’t analyzing it. Business owners should not only know what their revenue looks like for the given month, but they should know what it is cumulative for the year. They should be able to look back and compare their current figures with where they were at the same time a year ago. If it differs year over year, why? What has changed? In addition, many business owners know which months are “slow” month, but have a difficult time quantifying “slow.” Does it mean sales are down 10 percent from normal? Or does it mean 50 percent? Knowing what is normal allows business owners to plan and to identify when there is a problem. Payroll expense: This is one of the most common expenses to quickly get out of hand. It is often a business’s largest expense, so any change is going to hit the bottom line hard. Business owners should monitor salaries to see how they have been trending over the past several months. If an increase in this expense is happening, ask why. Are employees working overtime? If so, is that overtime truly necessary? If it is necessary, is it time to hire an additional employee? Gross margin: Gross margin is the percent of revenue that is left over after direct costs have been paid. In simplest terms, if a retailer sold a product for $10 and that item cost the retailer $6, the gross margin is 40 percent ($10-$6=$4, $4/$10=40%). If sales are going up, but the net profit is going down, look at the gross margin first. Often when this occurs, it is a result of a business discounting or putting products on sale. Their sales may go up, but they are not making as much from the sale. If a company with a normal gross margin of 30 percent offers a 20 percent discount, they will need 40 percent more in sales just to make up for the discount. Accounts receivable: If a business is profitable, but still finds itself short on cash, accounts receivable is one of the first places to look. When a business reviews accounts receivable, most look at who owes them and how much they owe. This is a great start as it can help find some of their cash shortfall. But monitoring accounts receivable goes beyond that. It can give insight on how well they are extending credit. On average, how long does it take your business to collect payment? Is that number growing? If it is, why? Do credit terms need to be re-examined? This list is not meant to be all inclusive. Additional figures will be important to a business depending on the industry they are in. Of course, you can’t monitor any of these if you aren’t tracking them. For small businesses, we recommend using bookkeeping software such as Quickbooks Online. 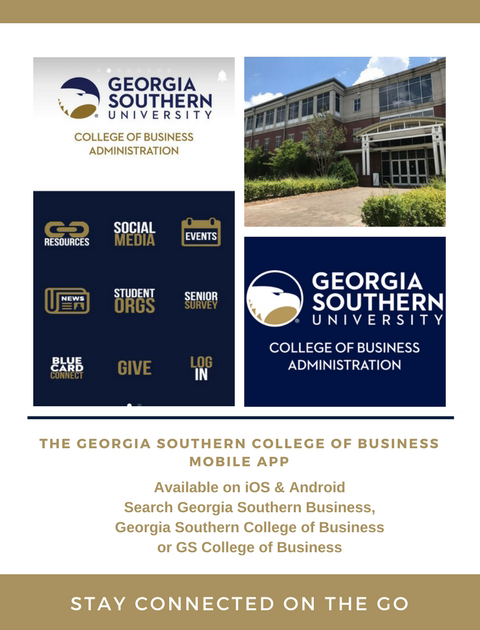 For businesses that are not currently using Qucikbooks Online but are looking to start, or for businesses using Quickbooks Online but not using it efficiently, the UGA Small Business Development Center at Georgia Southern University will be holding a Quickbooks Online class in Statesboro on July 24. Call Liz Overstreet at 912-651-3200 or register at GeorgiaSBDC.org/southern. Valerie Cote is the area director at the UGA Small Business Development Center at Georgia Southern University. Contact Cote at vcote@georgiasbdc.org or 912-651-3200. Georgia Southern University’s latest Economic Monitor, which analyzes data and identifies trends affecting the regional economy, reports that the Savannah metro economy ticked up modestly despite Winter Storm Grayson, which blanketed the area in heavy snow and ice fall in early January. Indicators of economic conditions were slightly mixed due to the weather-related incidents; however, the surging forecasting index is based on renewed strength in the housing and labor markets, which points toward increased growth during the rest of the year. During the first quarter of 2018, the Savannah metro total employment figure remained flat at 179,000, up only .5 percent over the previous year’s data. Early data from the second quarter suggests improved conditions will push year-over-year gains to about 1 percent. On Jan. 3, Winter Storm Grayson dropped between two and six inches of snow on the region, thereby shutting down business and travel for up to five days. Tourism activity in the first quarter was soft, with hotel room sales and vacation rentals dipping four percent on a seasonally adjusted basis as compared to the fourth quarter of 2017. The number of visitors on tours in Savannah declined 10 percent. Activity at Savannah’s port facilities fell by 3 percent compared to 2017’s closing quarter and is up 6 percent from this time last year. Employment growth has slowed, remaining flat for the first quarter of 2018, however, some sector-level changes are notable. Construction added 300 workers, manufacturing added 200, while retail and state government lost 200 workers. Year-over-year, the healthiest growth was in manufacturing, wholesale trade, business and professional services and leisure and hospitality. Unemployment insurance claims dropped from 631 to 541 in the first quarter of 2018, representing a 14 percent quarterly decline. The regional unemployment rate fell to four percent in the first quarter, dropping from 4.1 percent in the previous quarter. The unemployment rate was 4.8 percent in the first quarter of 2018. Residential construction in the region improved over last quarter’s performance. Seasonally adjusted building permit issuance for single-family homes soared 18 percent, in contrast to weak nationwide residential construction. Building permits issued in the Savannah metro area for single-family homes increased to 522 during the quarter compared to 443 units (seasonally adjusted) in the fourth quarter. The average valuation of building permits for single-family homes fell seven percent, dropping from $238,000 to $221,000. The leading/forecasting economic index showed a 2.4 percent increase from 162.5 to 166.3 in the previous quarter, reflecting sharp gains in residential construction and falling unemployment insurance claims. The Economic Monitor presents quarterly economic trends and short-term economic forecasts for Savannah’s Metropolitan Statistical Area (MSA). 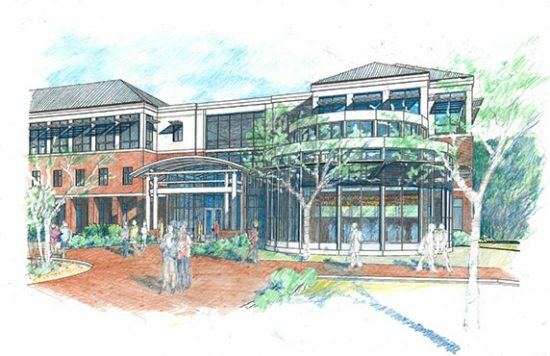 The quarterly report measures the heartbeat of the local economy, based on the analysis of economic data from the U.S. Census Bureau, the U.S. Department of Labor’s Bureau of Labor Statistics, the City of Savannah, Georgia Power and the three counties in the MSA—Chatham, Bryan and Effingham. The report presents a short-term forecast of the region’s economic activity in the next six to nine months and is available for free by email. To subscribe, email mtoma@georgiasouthern.edu. The Georgia Southern Center for Business Analytics and Economic Research (CBAER), housed in the College of Business’s Business Innovation Group, meets the applied research needs of Savannah’s business and community organizations. Areas of concentrated research include regional economic forecasting, economic impact analysis, economic development and business expansion, tourism development, survey-based research and specialty reports on topics of state, regional and local interest. To view the Q1 2018 Economic Monitor, click here. NOTE TO MEDIA: CBAER director Michael Toma, Ph.D., is available for telephone interviews. 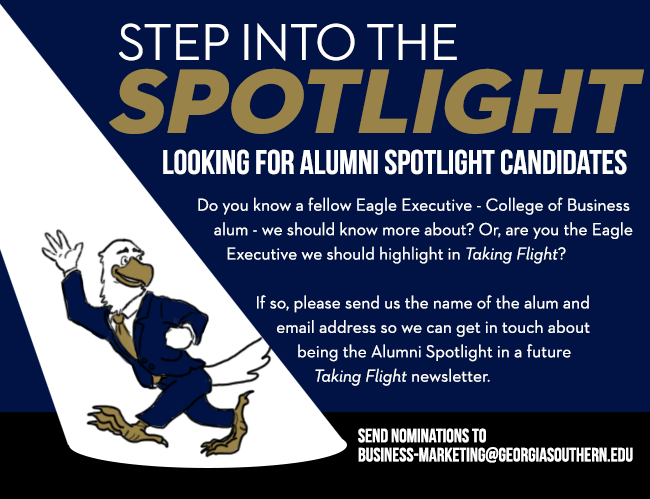 Media may contact Jennifer Wise at 912-478-2301 or jwise@georgiasouthern.edu for interview and image requests. When, if ever, should a small business owner consider a so-called secured business credit card? For many small business owners, the mere notion of obtaining a secured credit card is akin to robbing Peter to pay Paul. Generally, small business owners consider a secured credit card when they have less than perfect credit and find themselves struggling to obtain an unsecured card. The problem is that most owners in this position got there because of challenges/difficulties with managing their cash flow. Obtaining a secured credit card requires that the card be “secured” against some amount of funding. The specific amount deposited determines the applicable credit limit. Therefore, if a small business owner wants a secured credit card with a $1,000 limit, they would have to first deposit $1,000 in separate bank account. This means that in order to assist their cash flow challenges, they must take cash out of their business. For most, this just isn’t a viable option. They find simply using a debit card to be sufficient. However, the use of debit card doesn’t help them to rebuild their credit. This is often the primary reason why a small business owner would consider a secured credit card. When doing so, the important thing to know is that rebuilding your credit will take time. Ultimately, I would encourage borrowers in this situation to seek out credit cards/lenders that report to the credit agencies and try to avoid those that don’t. Do you have any advice for people with bad credit who need money for a business venture? First of all, bad credit means different things to different lenders. Generally, a personal credit score below 600 is the common benchmark. For potential borrowers in this category, there are options but they often come a higher cost. One option is consider online lenders, like Fundbox. Fundbox will provide financing over a twelve week period at less than five (5) percent interest. This could be a good short-term fix for those small businesses struggling with short-term cash flow issues, however, over an extended period of time the Annual Percentage Rate (APR) could be extremely high (sometimes 50 percent). There is also OnDeck, which focuses more on the business than the borrower. Though this may not be viable for a startup, it could be a good option if the company has been in operations for more than a year. The owner can also look to establish the company’s credit rating through factoring and equipment financing. Factoring is where a company sells its receivables to a third party. For companies that have business clients that are n net-terms, companies such as Blue Vine, can help them free up cash by purchasing unpaid invoices at a discount. Also, small businesses that need of equipment may want to ask the vendor if they offer financing and report to Dun & Bradstreet (D&B). If so, they would want to register for a DUNS number. Small businesses with a DUNS number can begin working on their D&B PAYDEX score. The PAYDEX operates much like your individual FICO score and is a way some lenders evaluate your company’s ability to repay debt. A good PAYDEX score can help your small business negotiate more favorable terms with your vendors, such as net-30 or even net-60 days. Regardless of the lender, people with less than stellar credit should know that when they ask to borrow money they are going to be paying a higher interest rate. Just how high is going to depend on the repayment terms. That is why it is important to look at the fine print and try to place all terms in APR to allow for apples-to-apples comparisons. Do you think secured credit cards should pay interest on users’ deposits? Great question! It would nice if lenders paid interest on users’ deposits but the fact is most do the exact opposite. Most secured credit card lenders actually charge an annual fee and a high interest rate to their consumers. There are a few, like Discover it Secured, that waive the annual fee and even provide a cash back bonus on purchases, but those are in the minority. Why do you think there are so few secured business credit cards available? There are a few reasons for this. First of all, the proliferation of debit cards has really limited the usefulness of secured credit cards. Debit cards afford the holder the ability to make purchases and track expenses just like unsecured cards. Secondly, online payment systems such as PayPal (and its subsidiary Venmo) have made it easier for people and businesses to transfer money from accounts and process transactions. Also, most small businesses with credit difficulties are simply not able to tie up the requisite funds to obtain a secured credit card. This means the market for secured credit cards simply isn’t large enough to entice more lenders to offer these services. Finally, low unemployment rates and strong job growth is making lenders more comfortable with borrowers’ ability to repay loans. As such, more lenders are finding that simply offering unsecured cards with a low credit limit and high interest rate to be a sufficient way to offer services to borrowers with a low credit score. 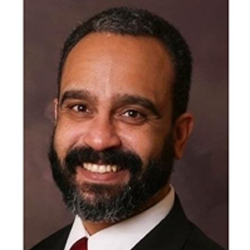 Halaby is the director of the Business Innovation Group at Georgia Southern University College of Business. To view the article in its entirety, visit wallethub.com/credit-cards/business-secured/#Dominique_Halaby.